The modern rustic interior look is hugely popular, and it's a trend that seems set to stay for a while yet. 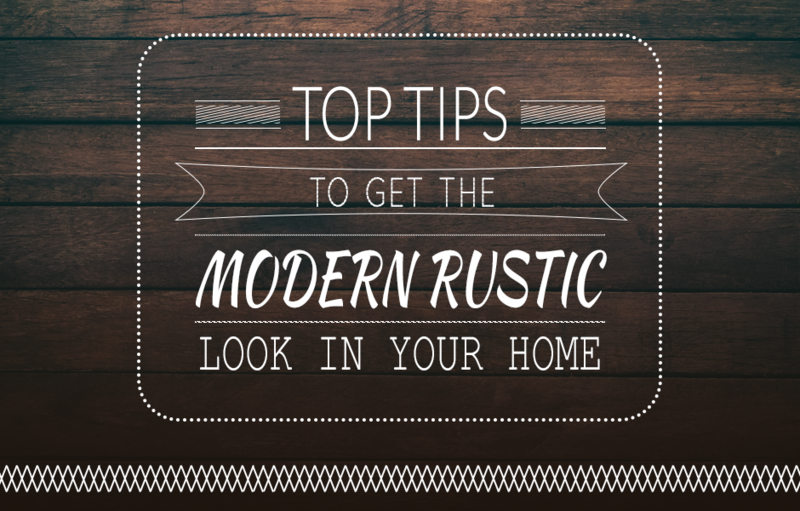 If you're thinking it's time to redesign your home and want to create the modern rustic look, then it's easier than ever to find products and inspiration to help you create this perfect look. With industrial buildings, warehouses and even old farms acting as inspiration, here are our top tips on creating the modern rustic look in your home. When it comes to a rustic style, your colour pallet should consist of those associated with nature. 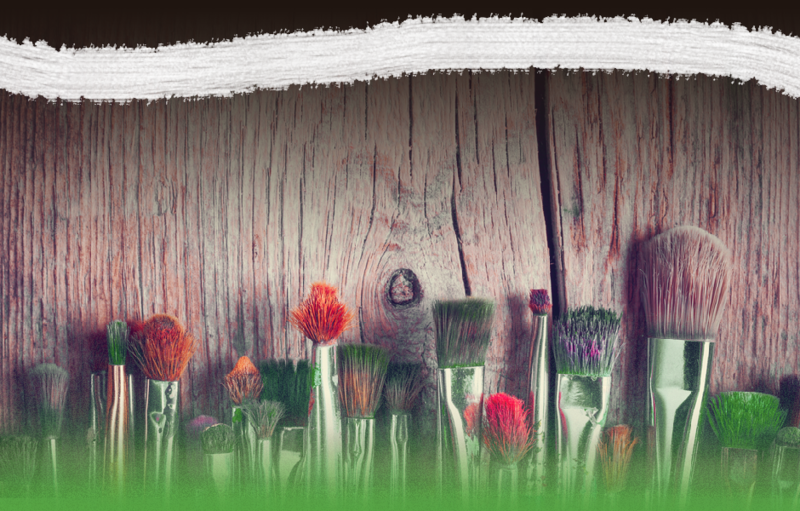 Try using warm and natural colours such as greens, tans and brown wood colour. These will bring together the feeling and allure of the outdoors into your home and create an atmosphere of warmth and a cosy setting for your home. To bring a rustic feel to the accessories of your home, you should choose furniture that gives your house a natural antique feel and look. This doesn't mean replacing all your furniture; you can add specific pieces of furniture or accessories that hold rustic characteristics to bring a modern rustic style to your existing decor. If you are purchasing a new bed, why not buy one with a log wood facade; another popular choice in furniture is using tree trunks for rustic decoration. If you don't own any antique furniture, ask your friends and family if they have any pieces lying around or head to your local charity shop or vintage store. You'd be surprised at the hidden gems you can find here that will give your modern rustic look a touch of authenticity. Accessories always provide a finishing touch to a room, and one of those that works particularly well in obtaining a modern rustic look is a patchwork quilt in a traditional pattern or design. Try using the quilts for the bedroom or even as a sofa cover or sofa cushions. To add an outdoor feel, choose a patchwork that has pictures of animals or trees. 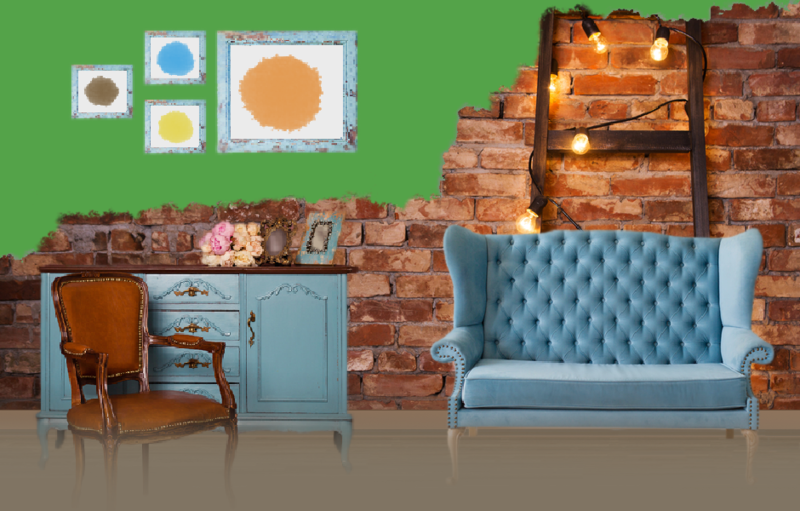 Opt for wall hanging décor such as old vintage paintings and, with a touch of creativity, you can come up with your own rustic décor ideas. 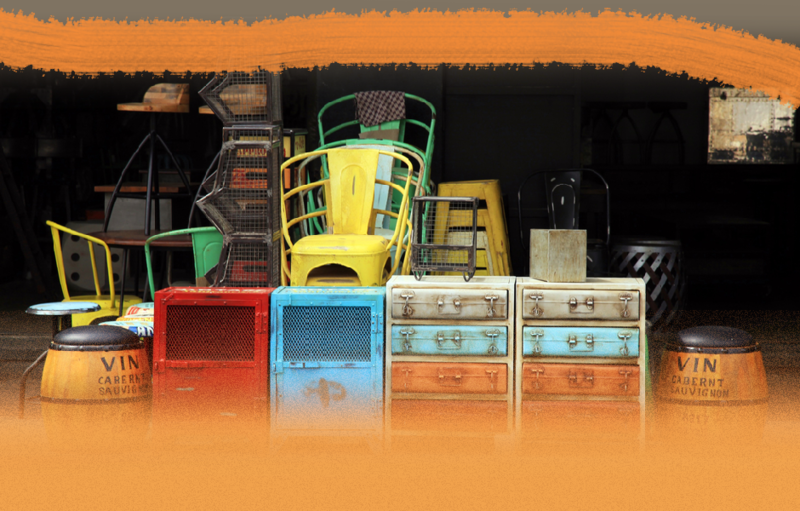 Just scan antique stores and flea markets to purchase rustic accessories at great value prices. Lighting plays an important role in creating a modern rustic look in your home. Choose your lighting wisely and it will bring the whole room to life. Opt for a subtle, earthy look when it comes to lighting as this will bring together the rustic design of the room; for example, dot lamps around the home which are supported by a wooden truck or add sparkle to your ceiling lights by adding a beautifully rustic yet modern chandelier to bring sparkle and charm to your room. 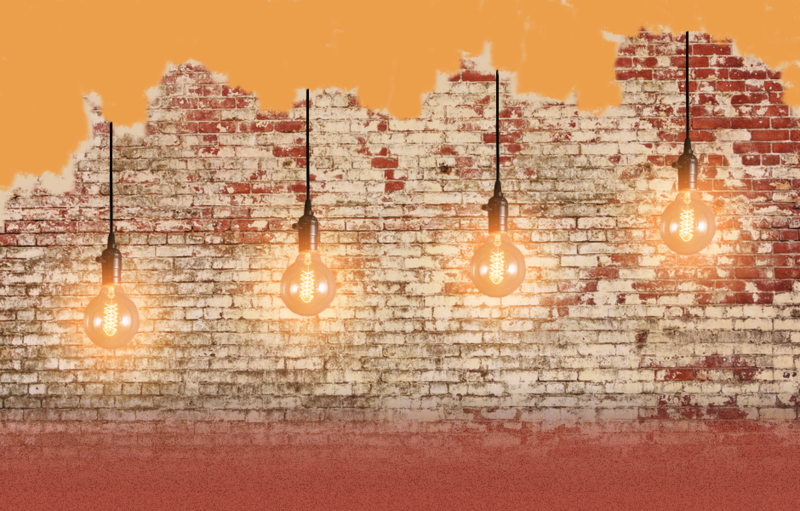 For the rest of the home, choose lighting that has a rustic element, such as using wall lights with steel frames or back plates, combined with an inner wooden plate. This will combine the perfect balance of rustic vs modern. Styling your home can be daunting, but with the latest products from Lights 4 Living, it's both exciting and fun! Remember that when you are using these tips to creating the ultimate modern rustic look, don't forget to keep your personality and charm in there. Add accessories that are related to your hobbies and reflect your home life. Check out our range for more inspiration on ways to create the modern rustic look in your home.